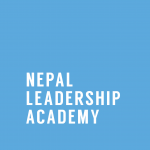 As Brené Brown beautifully puts it in her book, Daring Greatly: How the Courage to be Vulnerable Transforms the Way We Live, Love, Parent and Lead, “What is worth doing even if you fail?” This question set the premise for many of the initiatives for Nepal Leadership Academy (NLA) this year. Despite some shortcomings, these initiatives on our end were absolutely worth the time and effort. We embarked on a journey towards an enterprising Nepal with 30 Daayitwa Innovation Leaders (Youth Employment) in each of the administrative levels—Kathmandu at the Federal level, Province 5 at the Provincial level, and Palpa at the local level. These 30 youth from different parts of Nepal came together to advocate for policy reforms that address issues of domestic youth unemployment in Nepal through 6 campaigns. We have garnered support from the local, municipal, and federal governments and empowered more than 150 young people through the leadership course given to these 30 innovation leaders. We planned to organize the Nepal Leadership Trek in January of 2019. The Trek was an instrumental effort to support our sister organization Daayitwa’s work on accelerating the innovations and financial growth of rural women entrepreneurs in Nepal, as well as to promote NLA’s financial self-sustainability. Despite this vision and our genuine efforts, the response to the program was not what we had hoped for. As a result, we have decided to postpone NLT until the summer of 2020. This will give us the opportunity and ample time to reflect on the program’s design and process, as well as to build on our strengths and return better prepared. NLT 2020 also coincides perfectly with the Ministry of Culture and Tourism’s Visit Nepal Year 2020 with its target of bringing two million tourists to the land of the Himalayas. This year also gave us many opportunities to partner with organizations doing incredible work towards youth empowerment and community organizing in Nepal. We collaborated with the Association of Youth Organizations Nepal (AYON) and conducted a session on “Building Intentional Relationships for Entrepreneurship” at the annual Youth Co:Lab. Our session enabled young entrepreneurs from all over Nepal to practice the art of one-on-one conversations by using probing questions to discern shared values based on learning each other’s stories, identifying common interests, and discovering mutually beneficial resources, thus converting transactional relationships into transformational relationships. Next, we found ourselves traveling to Tansen and Lumle to work with young leaders aged 13-16 years to design campaigns around food security and women’s empowerment through Peace Corps’ Camp GROW (Girls and Guys Reimagining Our World) Program. Lastly, we conducted several courses on Demystifying Leadership, Public Narrative, Leading with your Story, and Organizing for Community Action for high school and college students in Kathmandu. In 2018, we grew: both as a team and as individuals. We found ourselves acting in short videos despite being immensely camera-shy, designing posters by self-taught skills on Illustrator, navigating the nuances around language and culture while working with young leaders from different parts of Nepal, reaching out to audiences beyond our immediate network—all of which prompted us to craft our personal narratives and utilize our courses’ frameworks for practicing adaptive leadership. We also reconnected with many of our course alumni, launched the Global Ambassador Program, and most importantly, garnered the support from individuals like you. This growing network of supporters makes every effort worthwhile. Thank you for walking with us down this path of passion and possibilities. In the meantime, we need to do a lot more towards our vision of an enterprising Nepal. Our focus for the upcoming year will be on developing leadership capacities of change-agents to architect effective civic, policy and business solutions that tackle the most grueling adaptive challenges in Nepal. But we also understand that change begins with us—which means that we will continue to push our boundaries by questioning the understandings and practices of leadership in Nepal and exploring innovative and creative channels to empower Nepali citizens. Thank you again for all your support and collaboration. We look forward to our continued journey towards nurturing youth leadership for a greater sense of shared peace and prosperity in Nepal and beyond. Looking forward to another year of growth, learnings, and opportunities!